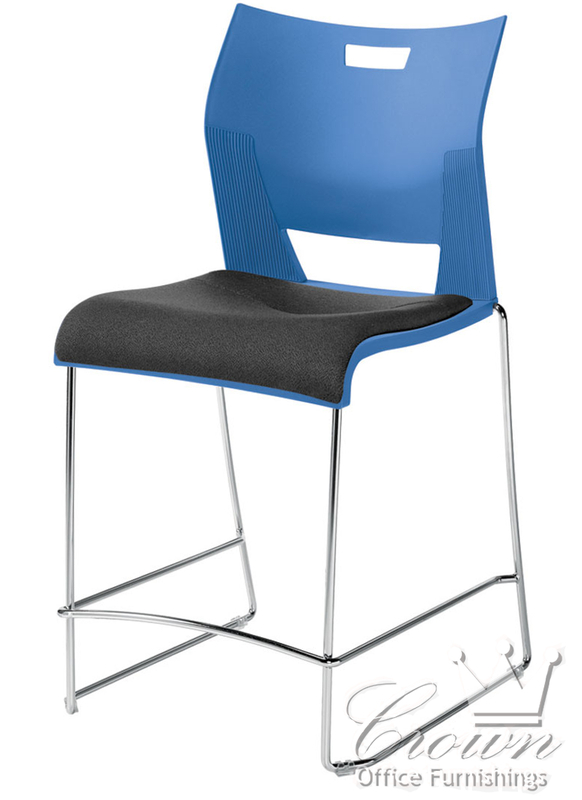 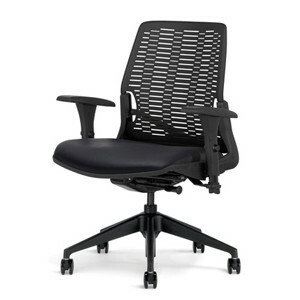 Available in 10 designer colors, the new Duet chair allows for high-density stacking with versatility and poise. 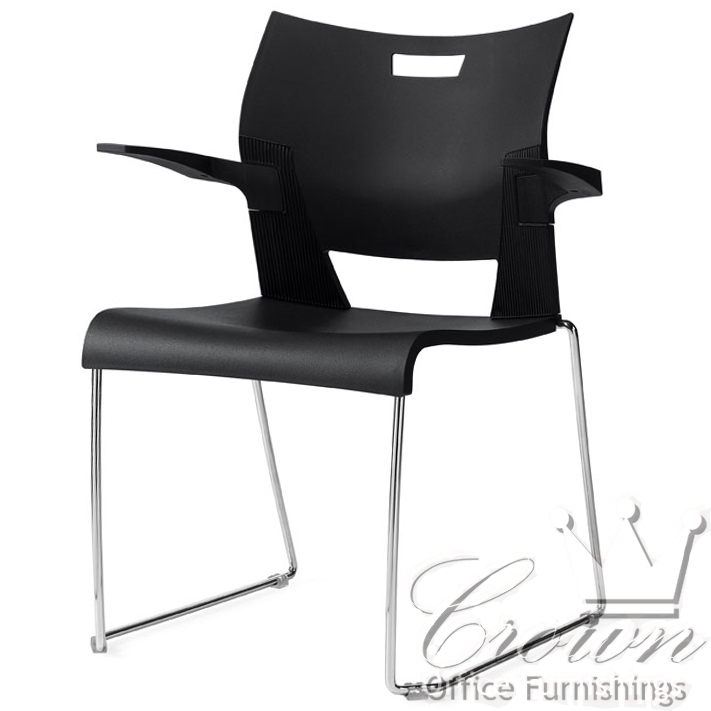 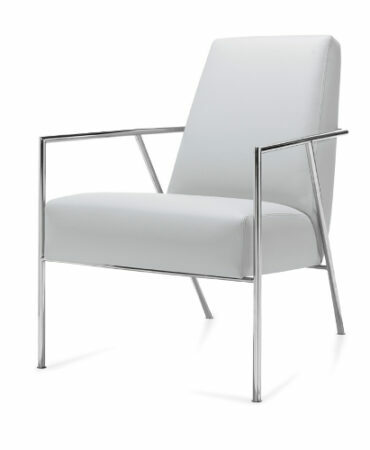 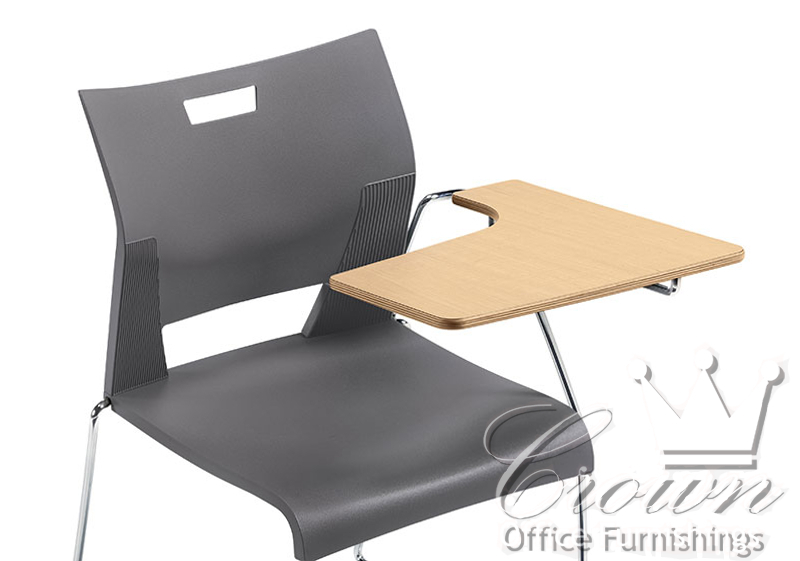 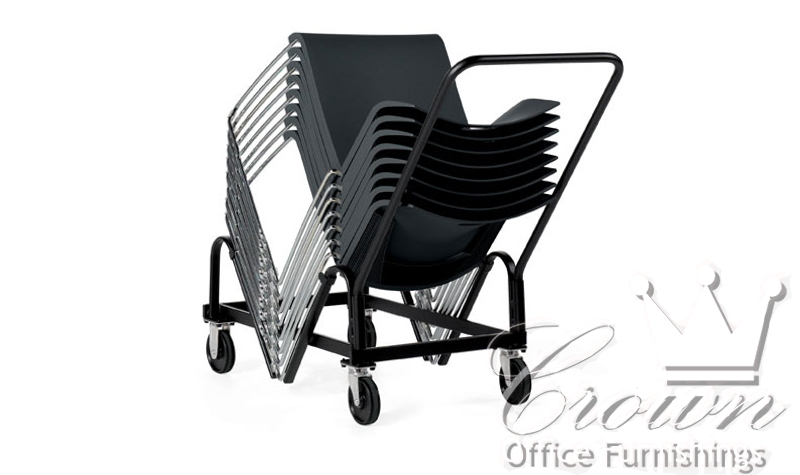 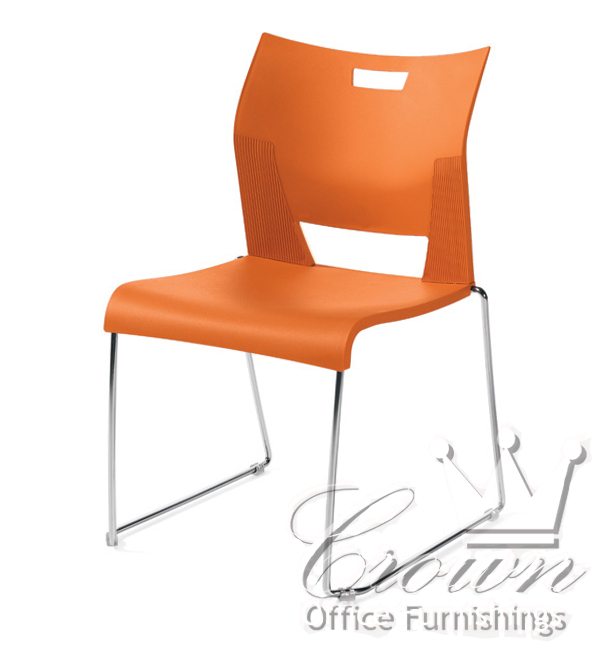 Duet features polypropylene seats, backs and arms and a steel rod frame available in Chrome only. 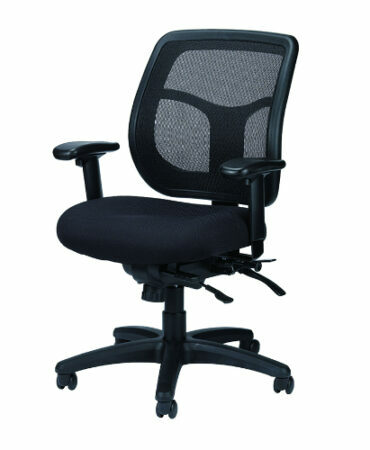 Upholstered backs are also available.